Next visit to Oklahoma City PHX, go with NÜ Car Rentals. 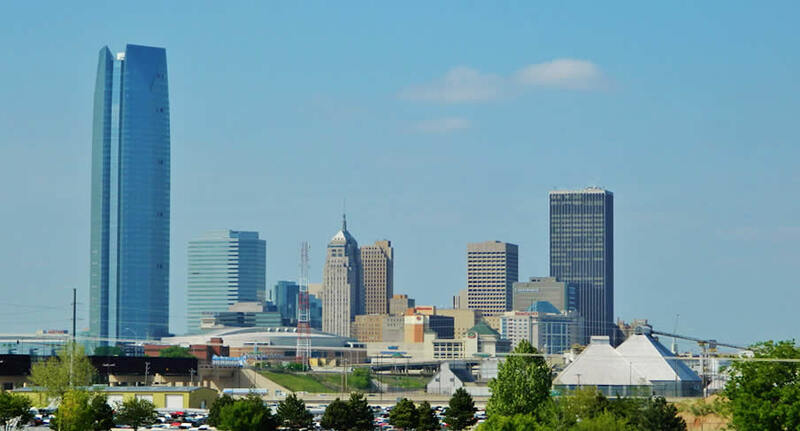 Car rental in Oklahoma City is easy, cheap, and hassle free with NÜ Car Rentals. With 25 years experience, our Oklahoma City rental car, Oklahoma City rental convertible or Oklahoma City rental van will get you to the many parks, restaurants, and cultural attractions that Oklahoma City has to offer. We service Oklahoma City International airport. Oklahoma City is the capital of the U.S. state of Oklahoma. It's known for its cowboy culture and capitol complex, surrounded by working oil wells. Many of the city's top sightseeing attractions are set in the historic former warehouse district of Bricktown. Museums, event venues, and restaurants create a picturesque neighborhood on the Bricktown Canal with its small water taxis. And for a true taste of ranchland life, visitors can drive their OKC NÜ rental car to a stockyard auction. NU Car Rentals service is provided by America Auto Rental in Oklahoma. As soon as you retrieve your luggage, please take the Airport Car Rental Shuttle to the Car Rental Center.